The area now known as American Fork was settled in 1850 by Mormon pioneers, and incorporated as “Lake City” ub 1852. The name was changed to American Fork in 1860, renamed after the American Fork river which runs through the city, the name change was made in large part to avoid confusion with Salt Lake City. The city started out as primarily agricultural, but by the 1860s American Fork had established a public school, making them the first community in Utah to offer public education to its citizens. During WWII the populations expanded when the Columbia Steel plant was built. An annual celebration in the city is called “Steel Days” in honor of the economic importance of the mill, which closed in late 2001. 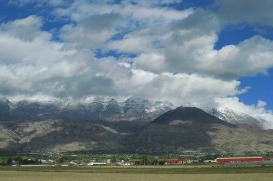 American Fork has been a rapidly growing city, especially since the 1970s. Its beautiful location, combined with the convenience of freeway access and the prime location midway between the Salt Lake and Provo metropolitan areas. Mt. Timpanogos LDS Temple- The temple sits just west of Mount Timpanogos and features beautiful grounds open to visitors. The Meadows- Every store you would ever need and every restaurant you would ever want to go to can be found in The Meadows shopping center. There is also a nice movie theater in the complex. American Fork Canyon – American Fork Canyon provides countless recreational and site-seeing opportunities to visitors. Whether you enjoy camping, fishing, hiking, photography or just taking in gorgeous vistas, you’ll really enjoy American Fork Canyon. Just minutes away from downtown’s historic Main Street are two state-of-the-art business and technology parks. North Pointe is home to Certiport, Tahitian Noni, HP Logoworks and Fidelity Investments. The Utah Valley Business Park is home to Dentrix, TwinLabs/IdeaSphere, Novarad, Move Networks, Goyin and True North Academy. Both are progressive business developments close to Interstate 15. The city’s quality of life, together with its well-educated workforce and low business costs, make American Fork a natural choice for families and businesses. Recreation and leisure needs are met by a fitness center, year-round recreation programs and the popular Fox Hollow Golf Course. A new start park was completed in 2006. With only 35% of the population being older than thirty-five years old, American Fork is also the home to many young families. Recreational and camping opportunities abound, from the American Fork Boat Harbor at Utah Lake to Timpanogos Cave National Monument and the Alpine Scenic Looop located in American Fork Canyon. The quality of life is enriched by American Forks Arts Council, which presents a variety of programs throughout the year, as well as the American Fork Symphony and Utah Regional Ballet. It’s easy to see why Money Magazine placed American Fork on its list of the Top 100 places to live in the United States. Contact us today to learn more about programs specific to American Fork that can help you save money when you purchase your new home. Consistent with trends across the state the housing prices in American Fork are currently bottoming out of a downward trend, making now an incredible time to invest in American Fork real estate. The Red Sign Team has been helping people interested in buying or selling American Fork real estate for years. Our experts are familiar with the market trends for American Fork and Utah real estate in general. We are confident that we will be able to provide you with the friendly, knowledgeable, helpful and experienced real estate service that you deserve. Contact us today!